I received a note from his daughter (comment from Vivian) that the death date I have for him is wrong. 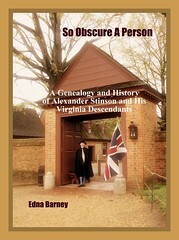 William Frederick SANDERS is at: http://members.cox.net/barneykin/rich/RICg03.htm#311 . He died on January 10th, 1990. I will correct that when I update these pages – if I can manage to get around to it. I noticed that his scrapbook page is not working either. The family of Edward William Henry Richardson was living here in 1907, when their little son Teddie died at the age seven. Lynn Richardson of Manchester, England found a death certificate for little Teddie, giving a cause of death as meningitis or tuberculosis: www.flickr.com/photos/neddy/533391657/in/set-1518399/. From the address on the death certificate she located the house where the family was living at that time in Blackley, near to Newton Heath. She found a picture on a local library site and reports that the Richardson home was the end house in the center of the picture. The sign on the building in the foreground reads “Blackley Co-Operative Society”, which Lynn writes was, and continues to be, a group of traders who organized in 1844, to benefit the poor. The movement started in Rochdale and spread throughout England, becoming a formidable society with hundreds of shops, farms and even funeral parlors. 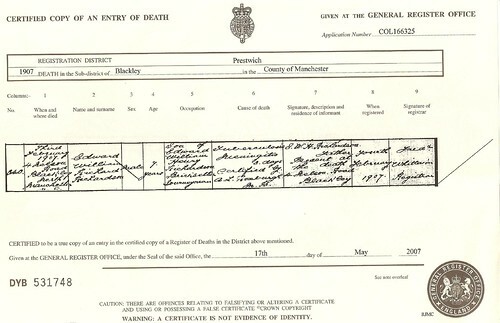 This is the 1907 death certificate of Edward William Richard RICHARDSON, Prestwich, Blackley, County of Manchester. 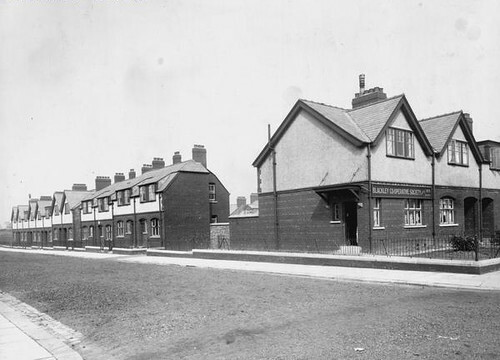 The record states that he died the third of February 1907, at 4 _____ Road at Blackley, North Manchester, age 7 years. He was the son of Edward William Henry RICHARDSON, bricklayer journeyman. He died of tuberculosis meningitis, 3 days. His father was present at his death. This certificate was obtained by Lynn Richardson on 17 May 2007, and contributed here. Little Teddie RICHARDSON is finally remembered, exactly one hundred years later. I first heard about him in the early 1950s when I was petitioning my parents to buy me roller skates. All the other kids in my neighborhood of west Baltimore had them and were skating up and down the sidewalks. They were the metal clip-ons that attached to the bottoms of one’s shoes. That is when my father spoke of a cousin in England, who fell and hit his head and died, therefore he did not want that to happen to me. I don’t remember if I knew the child’s name or if I just assumed that the unfortunate little fellow fell while roller-skating. Even then, the story came to me second-hand from my mother who told me that is what my father had said. Eventually, I did get my roller skates, and I did fall and hit my head and was taken to the hospital for stitches. My eldest brother name Edward William Henry Richardson born March 19th 1869. He married at No 8 Trilby Rd Forest Hill S.E. He also was a bricklayer. He moved to Manchester & brought up his family there of Teddie Rosie Harry John Daisy Tassy Richard. Teddie met with an accident & died at the age of eight. My brother Edward was always called by his last name Harry. He died Nov 1934. In the 1980s I began corresponding with a grandson of Harry RICHARDSON, Tasman RICHARDSON, and when I mentioned young Teddie who had died as a child, he wrote that none of the siblings in that family had ever mentioned him. In the past year, Lynn RICHARDSON of Manchester, England has contacted both me and Tasman through the RICHARDSON pages here. Her children are great, great grandchildren of Harry, and it was she who finally found that Teddie did indeed exist and now we know his birth and death dates and his full name. As Tasman wrote, it only took one hundred years, 1907-2007! The image, Teddie Richardson, was originally uploaded by barneykin. It is posted here from Neddy’s favorites. I have uploaded many of my Richardson genealogy photographs to my Flickr site. They are HERE. 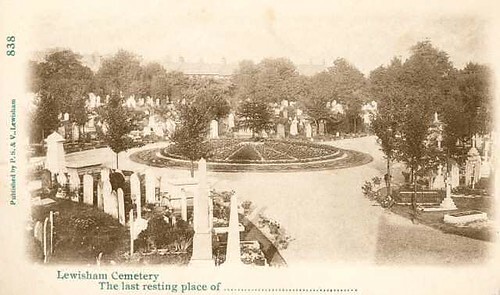 My great grandmother, Emily (MILLS) RICHARDSON (1849-1933), is buried at Ladywell Cemetery in Forest Hill, Southeast London. She is said to be at grave number 2211aA. 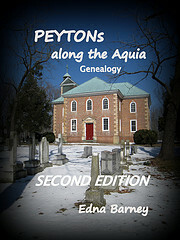 I wish I could get a photograph of her gravesite, however, I did find this link to some photographs of the cemetery. 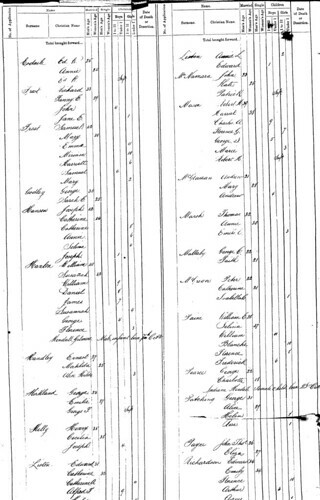 About 2001, when I was creating the website for the RICHARDSON family of Hounslow Heath, England, I found the family of my grandfather, Arthur James RICHARDSON, in the State Records of New South Wales, Australia, Immigrant Index of 1880-1896. On Reel 2142 was recorded his family’s arrival in 1883: Edward Richardson, age 34, Emily, age 34, Florence, age 10, Arthur, age 3, and under remarks for these people was listed “and family.” Henry, age 14, and Richard, age 13, were also found, but with no remarks. According to the Sydney Morning Herald newspaper, the sailing ship “Dallam Tower” arrived on the 1st of November, “with 419 Government immigrants.” Just recently, a Richardson cousin has sent a link to these same records that are now posted on-line as ships’ passengers on “The Dallam Tower”. There are links to the original scanned records: Edward and Emily Richardson with Florence, Arthur and Agnes. I assume that the term “Government Immigrants” signified they were sponsored by the British government. The image, Dallam Tower Manifest 1883, was originally uploaded by barneykin. It is posted here from Neddy’s favorites. I heard about your story at my cousin weding last year and just recently looked at it properly. I find it very interesting and well put together. My name is Richard Tasman Richardson. I am 41 years of age and the Grandson of Richard Arthur Richardson & Lillian Carter. If I can be of any assistance please contact me.